As much as we would love to just plant a lawn and then sit back and watch it thrive, if you want your grass to look its best all year-round, you’ll need to head outdoors every now and again to give it some love and attention. To help point you in the right direction, we’ve put together our top 4 lawn care tips. Watering, feeding and fertilising are essential in ensuring your lawn is well looked after and stands the test of time. One of the biggest mistakes homeowners make when caring for their lawn is overwatering it. This can actually have a negative effect on the health of your grass. The best way to water your garden is to water it less often, but for longer periods. This is because when you quickly sprinkle some water over the top of your grass, the moisture isn’t sinking down to the roots. By watering for a longer amount of time, the water will sink into the grass and the soil will retain the moisture for longer. You should also weed your lawn during early spring and summer to encourage new lawn to grow. Likewise, carefully time when you use fertilisers and weed killers. When and how you fertilise and apply weed killer will depend on the type of grass you have, your location, and the soil conditions prevalent in your area. However, as a general guide, lawns should usually be fertilised in early spring and late summer to help repair any sun damage. Did you know that poor mowing habits could actually stress your turf and cause disease to spread? For instance, you should only mow your lawn when it’s completely dry, as wet grass often clumps, can clog your lawn mower’s motor and often leads to a messier, uneven cut. You should also only remove a third of the grass, and make sure your mower’s blades are sharpened with the cutting height adjusted to suit the length of your grass and any other factors, like if there are lots of leaves scattered across the lawn. For a better looking lawn, it’s also worth alternating your mowing schedule, and switching up the direction you cut the grass in every now and again. Finally, it’s imperative you keep your mower in good knick. 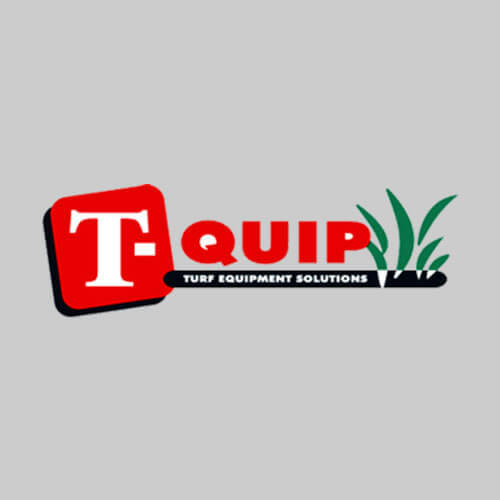 T-Quip can handle your lawn mower repairs in Perth and also stock a range of new and second hand mowers in our Perth store that will help keep your grass trimmed and healthy. Importantly, as with most gardening habits, results won’t always be instantaneous. If you water and fertilise your lawn today, it might take a month, or even more for you to start noticing the difference. So, once you’ve completed your maintenance tasks, don’t feel like you have to repeat them over and over again unnecessarily because you’re not seeing results. By overdoing it on your lawn maintenance you can end up doing more harm than good, so just be patient and, in time, your labour will be rewarded. How you look after your lawn with vary from month to month. For instance, during the cooler months very minimal maintenance will be required, while spring will be more hands-on. Once you’ve perfected your lawn care routine, you’ll be able to sit back and watch your lawn thrive! However, if you do have any questions, or need any assistance in repairing your lawn mower, contact T-Quip today; we can assist with your lawn mower repairs, as well as any new or second hand mower purchases.